A good detangling brush, hairspray, sea salt spray, face powder, and an awesome teeth whitening toothpaste. 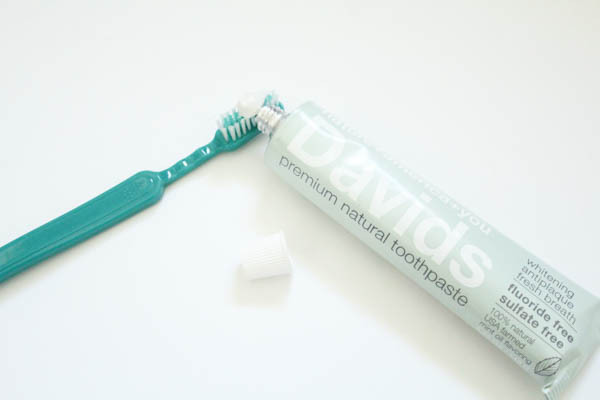 I love this fluoride-free, sulfate-free, natural toothpaste. 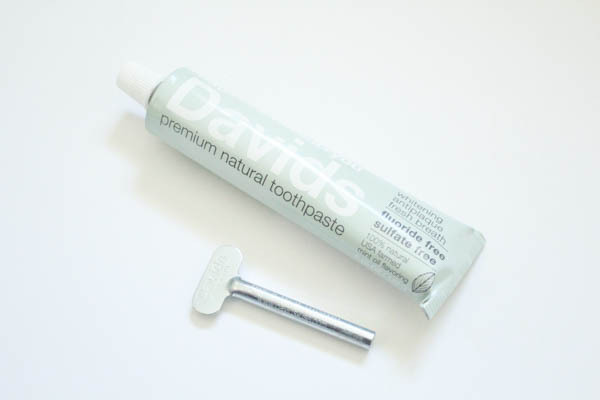 Davids uses natural mined calcium carbonate to whiten and polish teeth. 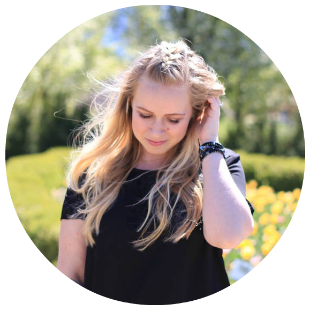 Not only is the tube adorable, but it is also a completely recyclable tube! 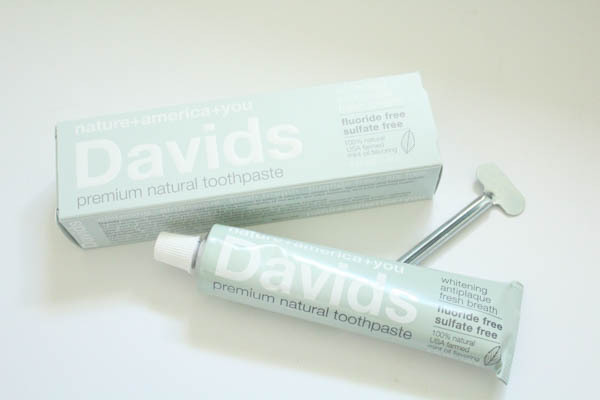 I've been using this for the past week and can see and feel a difference with my smile :) If you want to try Davids Premium Natural Toothpaste for yourself, use the code below for a 20% discount!